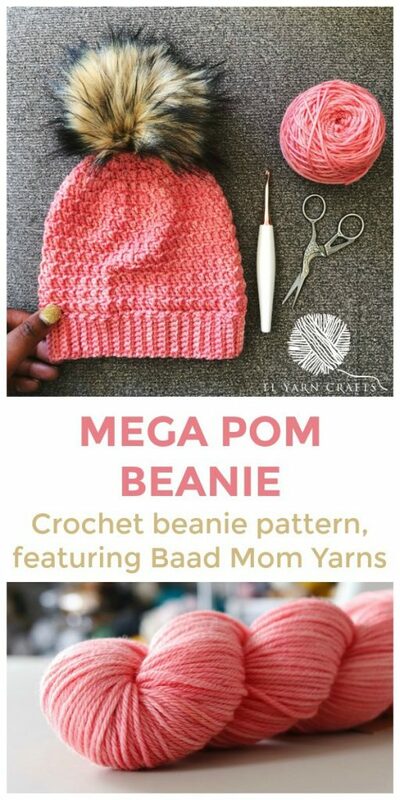 I’m heading back to my design roots and reimagining my very first hat pattern, the Mega Pom Beanie, thanks to my new friends at Baad Mom Yarns! 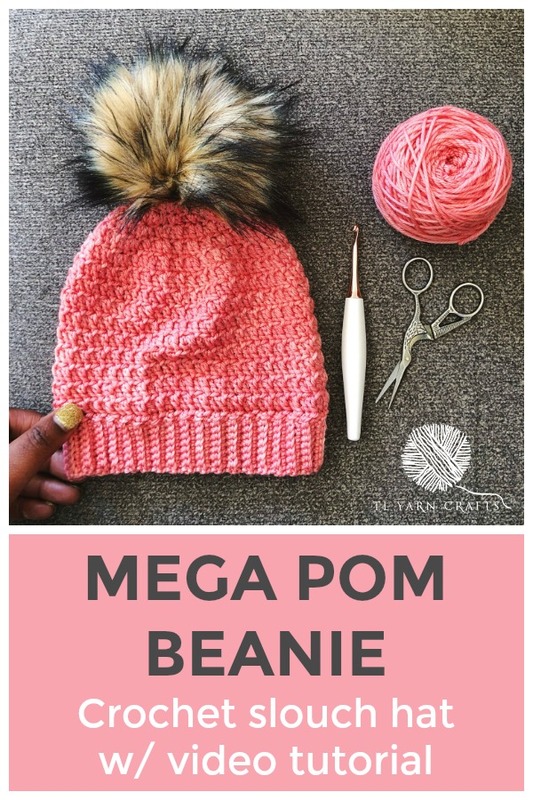 The Mega Pom Beanie is the kind of project that I can make again and again. It’s versatile, always gorgeous, and pairs wonderfully with just about any yarn. I’m so excited to partner with Baad Mom Yarns for the latest version of this classic pattern. Special thanks to Baad Mom Yarn, who provided yarn support for this project. 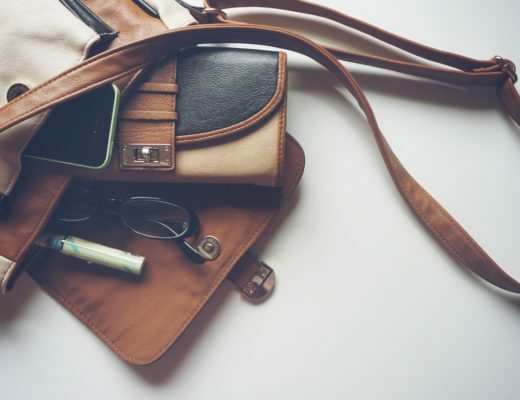 This post contains affiliate links that support the content of TLYCBlog. All opinions are my own. Get your copy of the Mega Pom Beanie on Ravelry and TLYarnCrafts.com. The printer-friendly PDF version includes a 3-page, full color crochet pattern with a link to the unique applied ribbing technique. Back in 2015, I was heavy into the craft show circuit in my town. 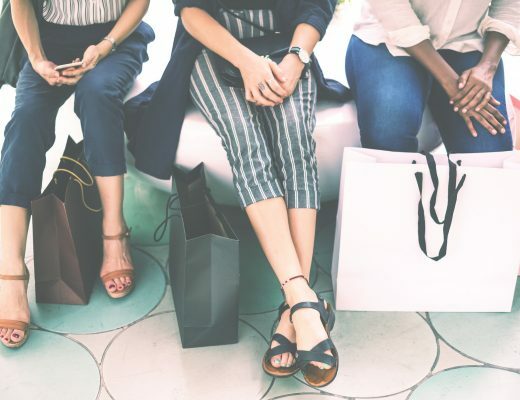 I was finally getting my feet under me after 2 years of vending and was ready to diversify the items I offered in my booth (click here for more advice and insight from my craft show experience). I went on the hunt for the perfect crochet beanie pattern on Etsy and Ravelry, my two favorite places to find crochet patterns. And I found NOTHING. Now, don’t get me wrong. There are over 20,000 lovely crochet beanie patterns on Ravelry. But I just couldn’t find one with everything I wanted. 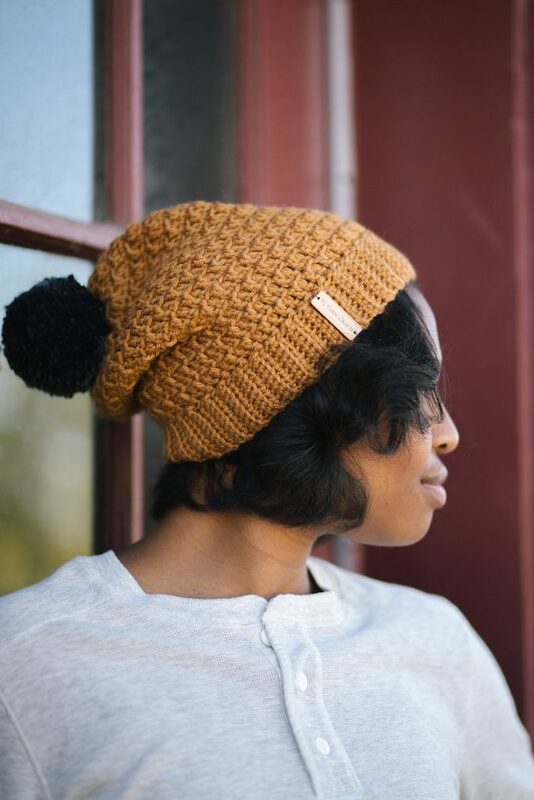 My wishlist included a top-down beanie with subtle texture made in worsted weight yarn with a wide, ribbed brim and a giant pom pom. Very, very specific! Since I couldn’t find a pattern I loved, I figured I would make one. And that’s how the Mega Pom Beanie came to be! It’s everything I wanted and I’ve had fun trying this pattern out in every iteration since. One of my favorite things to do is test new-to-me yarns using this pattern. My latest beanie is made in collaboration with my new friends at Baad Mom Yarns, an indie dye studio based in Virginia. Baad Mom Yarns is headed by Melanie, mother of 6, who got tired of trying to be the perfect mom. These days, she’s focusing her newfound confidence in dying up some of the most gorgeous skeins you’ve ever seen. 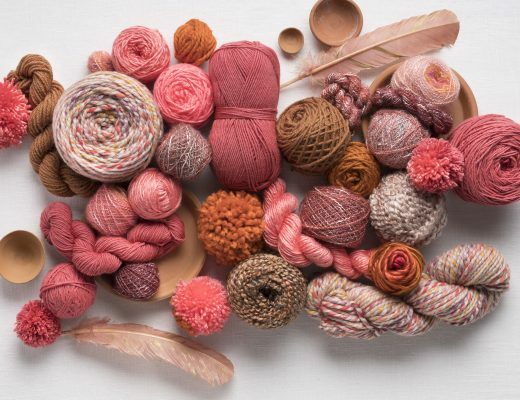 Melanie’s look book has fifty recurring colorways, including semi-solids, speckles, and variegated skeins. The palette spans the color wheel and the saturation is out of this world. When Melanie reached out to work with me and gave me a pick of the yarns, I was on cloud 9. With so many amazing options, it was hard to choose. The Terra Cotta colorway was a frontrunner for a while, and so was Golden. 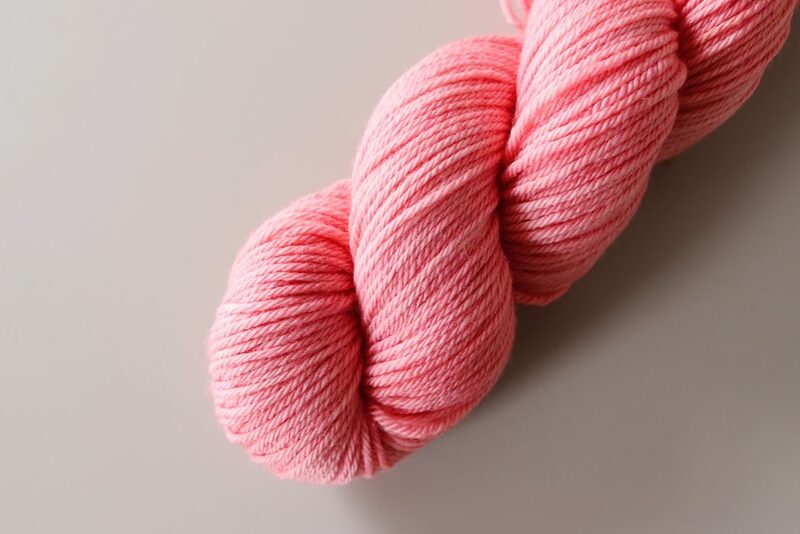 But I ended up going with Péitseong, which is Gaelic for Peach (read more about Baad Mom Yarns Gaelic roots here!). The yarn that arrived on my doorstep was even better than I could have imagined. 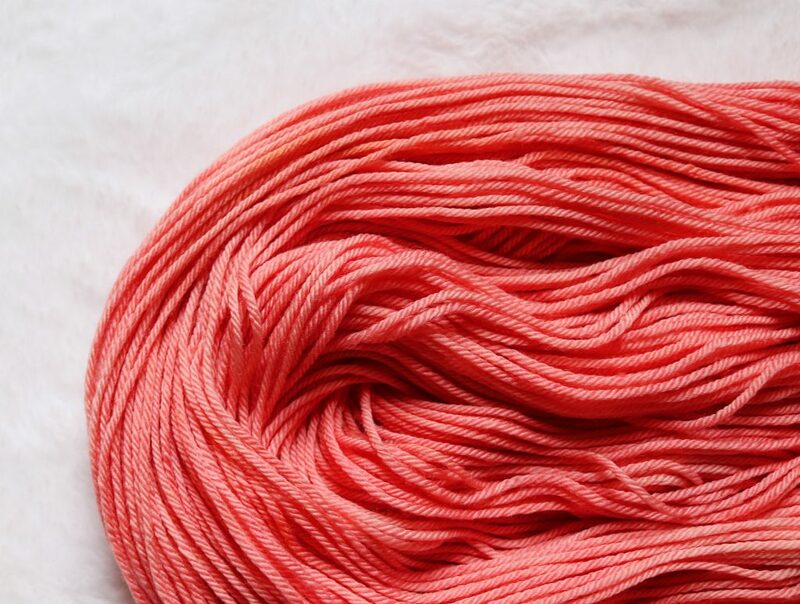 My favorite color is any shade of pink, and the pretty Péitseong colorway was the most perfect peach I’d ever seen. Just look at the dimension in that color! Needless to say, the resulting Mega Pom Beanie is a work of yarny art. The 4-ply construction of Melanie’s worsted base gives amazing stitch definition. I breezed right through this project and didn’t experience any splitting or slipping. The yarn stays incredibly bouncy, even after crocheting. 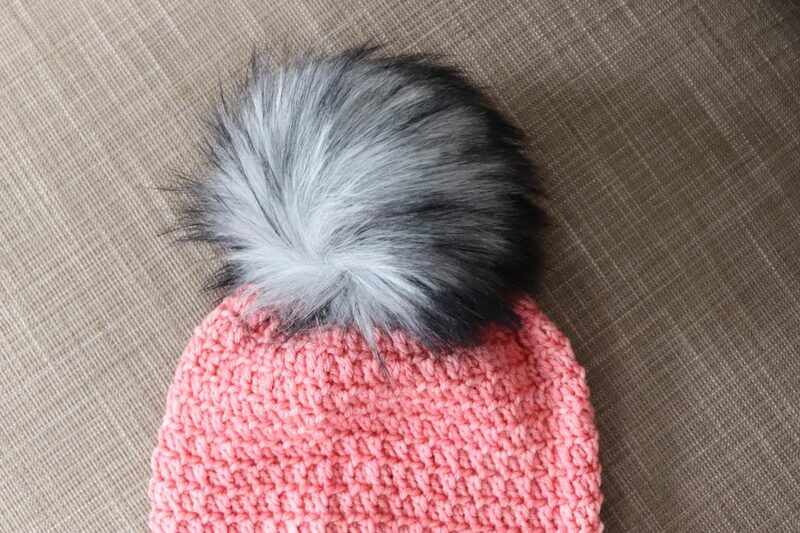 And doesn’t this color match perfectly with this pom pom from RKC Handmade? I’m so in love with it. 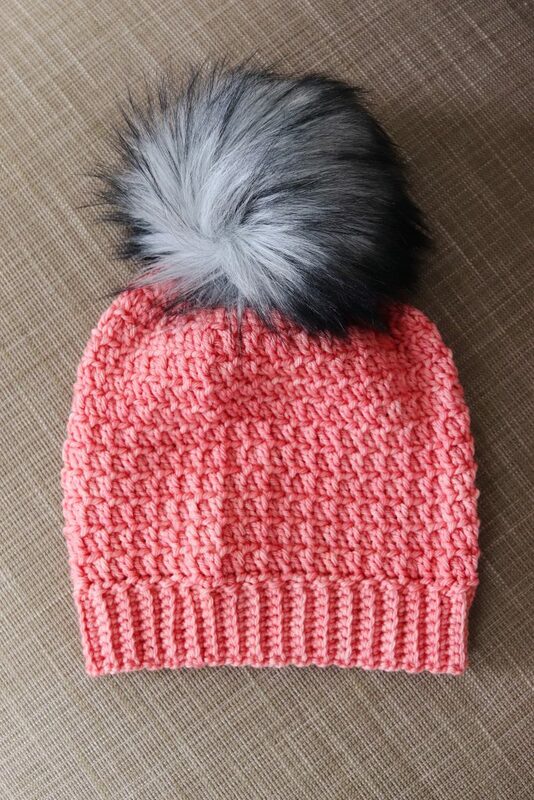 If you love how this project turned out as much as I did, get your hands on the Mega Pom Beanie pattern via Ravelry or TLYarnCrafts.com. Then head over to Baad Mom Yarns and pick up a skein of her Practical Mom worsted base yarn for your own beanie. 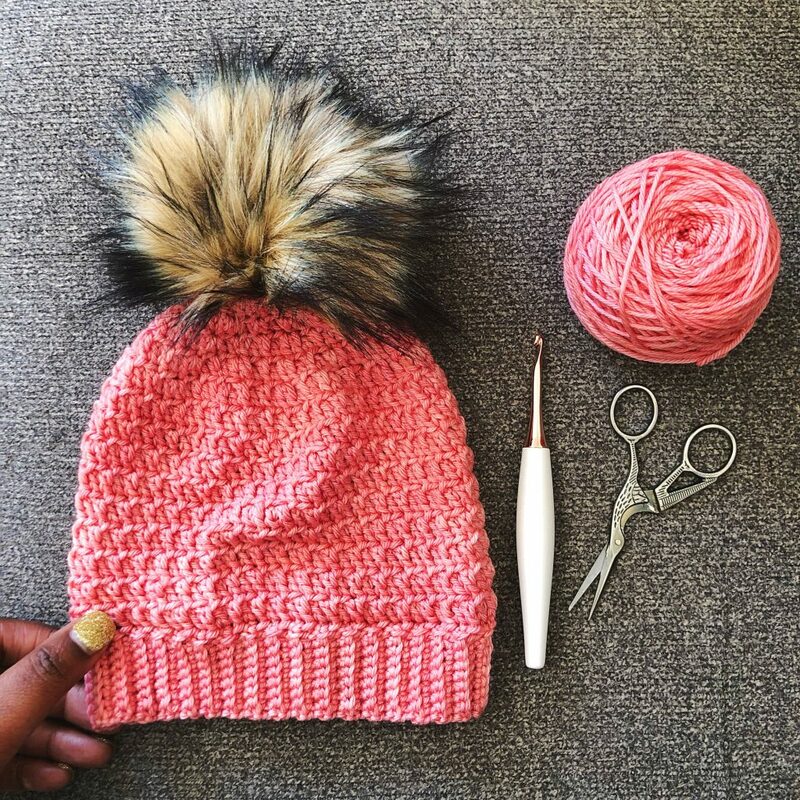 The Mega Pom Beanie is a beginner-to-intermediate level pattern. This beanie is constructed top-down for the ideal fit. Instructions are written row-by-row with clear direction on achieving the unique and subtle texture. 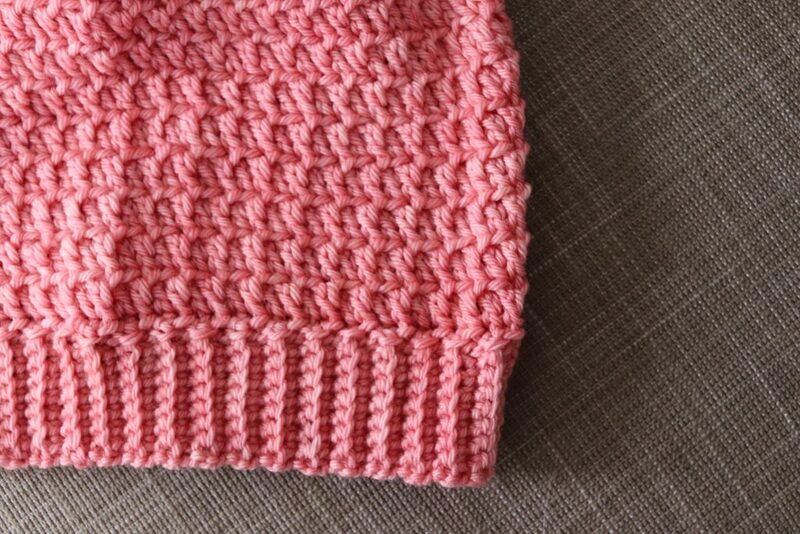 The beanie is finished off with an applied border for the ribbed brim. 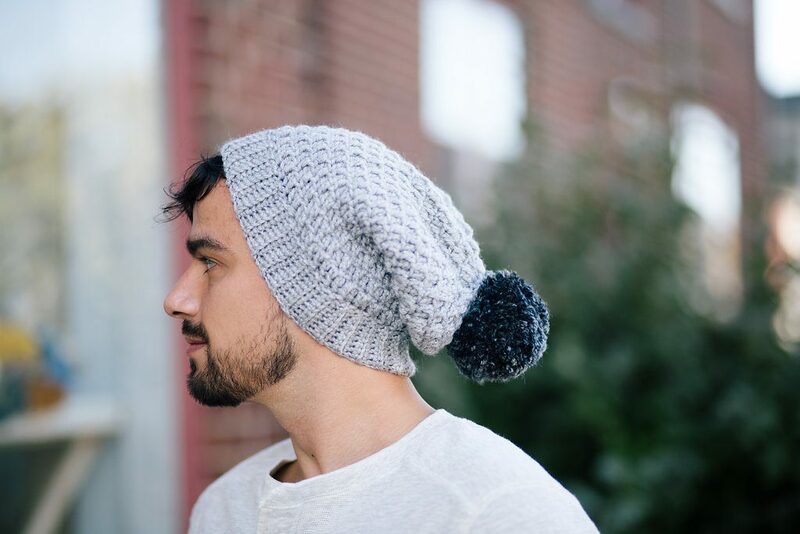 Instead of traditional post stitches, the brim is made perpendicular to the hat, making for a snug and attractive finish. The 3-page styled print pattern includes a link to a detailed tutorial for the brim technique.